Digg is a social news website made for people to discover and share content from anywhere on the Internet, by submitting links and stories, and voting and commenting on submitted links and stories. A section of digg: digg.com/celebrity and news under that is entirely blocked for no reason. (Digg link by bianconeri4ever). Help unblock it by filling the form at internet.gov.sa, writing an email to unblock@internet.gov.sa or sending a fax to +966(1)2639290. 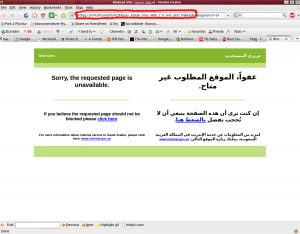 Blocked in Saudi: hydroponics websites?